Our journey stated in Nashville, Tennessee on Tuesday, and today we end this leg of the journey in Las Vegas, Nevada. Las Vegas is a city I never really wanted to visit, but we planned to visit the Grand Canyon and Vegas... well, it is just a logical place to say! Tuesday we left and spent the night in Memphis at the Fairfield Inn in Olive Branch Mississippi. Those 4 hours are going to make the next 3 days of travel easier. 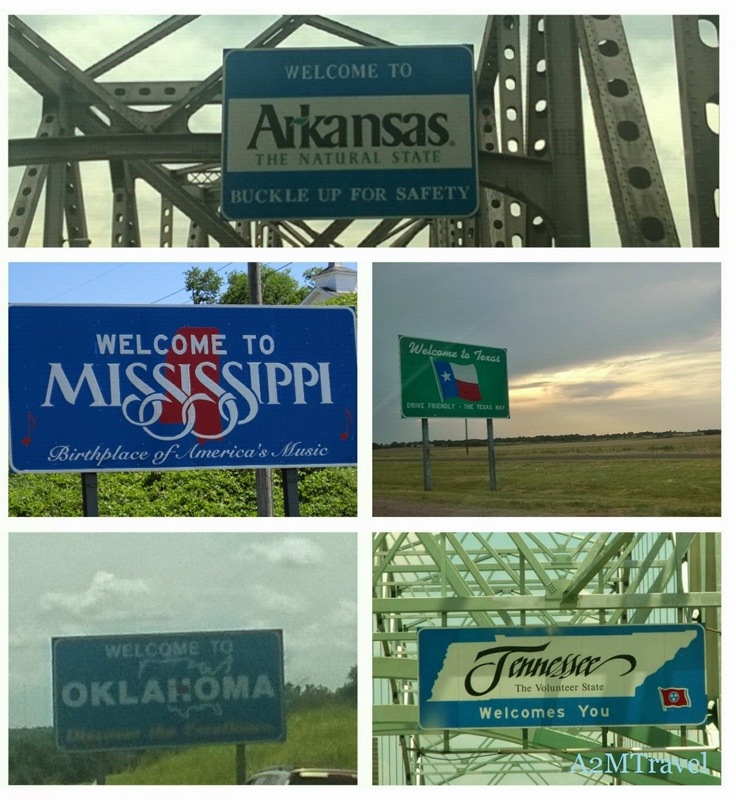 Wednesday, we traveled through 5 states going 725 miles. Traveling with kids is possible! We had puzzle books, magazines, movies, tablets, and an occasional stop at the park. The only thing we are lacking is a soundproof glass divider behind our front seats! Not many tourist spots on the first long day, just a small hamburger picnic in Conway Arkansas. 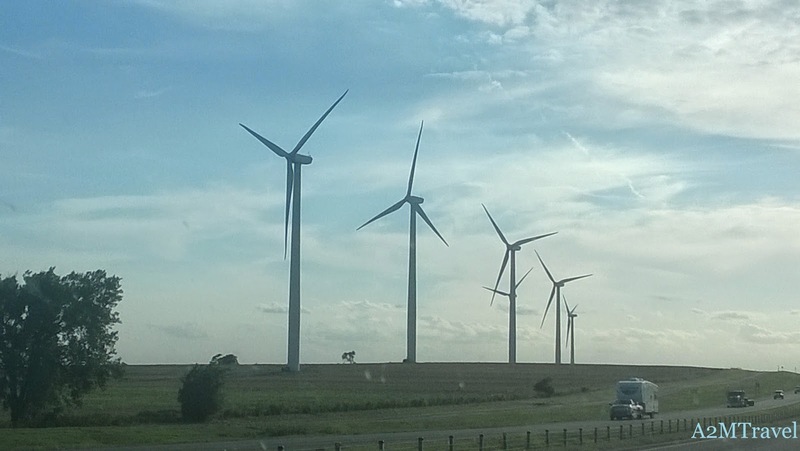 The Oklahoma countryside gave the kids their first sight of the modern day Windmill! The wind turbines give an interesting contrast to the fields and houses the share the land with. Rows and rows of the giant slender structures with their airplane wing sized blades are astounding! Trying to explain how the moving blades generate energy, and how that energy is stored and transmitted was not very astounding, but enough to satisfy an 11 and 9 year old. As we crossed into Texas, the terrain got a bit more arid, the plants smaller, the foliage less like the green we know from Tennessee. Rolling fields of cattle farms, the irrigation systems that will always fascinate me, old water towers ready to topple with a good stiff wind, all parts of American that just aren't' the same from 35,000 feet up in the air! As we were almost finished up with our day, in the distance we see a row of lights, like a factory. 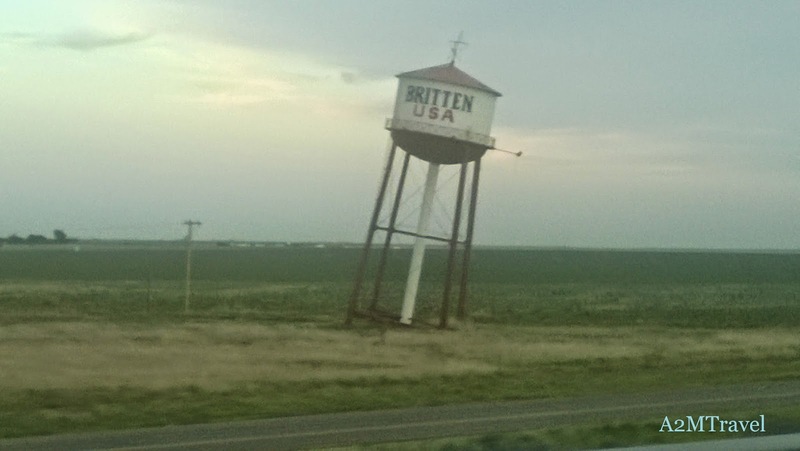 Pantex- America's only nuclear weapon assembly and disassembly facility. That was thoroughly impressive to our son! Had to get a picture of that for him to show off to his friends. This started a conversation on how far away from an atomic blast would he have to be in order to be ok! The hotel that night was on the Heebie-geebie side! I haven't been around many construction workers, but I think I recognized the cat-call I received while unpacking the van out front. Sure, this 40 year old Mom of 4 is really into that!?! I'm not fan of outside entrance hotel rooms, especially when the walkway becomes a gathering place for Really Loud and apparently Heated conversations at midnight. Our 1 year old had the experience of sleeping in a suitcase, medium sized! We were told the hotel's portable crib was stolen by another guest. After another free hotel breakfast, we are revved up and ready to go!